A while ago I was send a couple of items from The Snugg, purveyors of fine quality tablet and phone cases for review! First up is the phone. 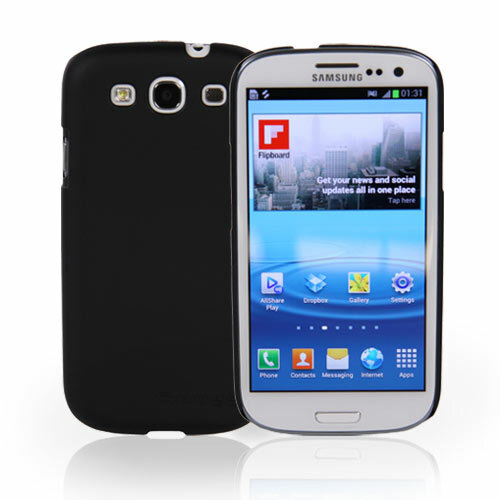 I’ve had a number of cases in the past for my Galaxy S3, but they can be a little bulky, or feel a bit cheap and rubbery. The Snugg Ultra Thin is a solid plastic skin which neatly fits over the phone, hardly adding any extra depth. The material is non-slip and scratch resistant, and neatly cut to avoid covering the buttons, unlike some of my previous rubber based cases which made the buttons harder to operate. I’ve been using it for a couple of months now, and I can say from experience, it’s also been good at protecting the phone in the occasion accidental drop, as well as from general day-to-day wear and tear. Not the cheapest of cases, but worth the cash for a neat little cover. They also do similar versions for iPhone. You can get to Galaxy S3 case here, or the iPhone cases here. 8/10 – A good little phone cover. I’d been looking around at cases for my new Nexus 7, and seen a few, but nothing I really liked. Then The Snugg came along, and I have to say I was very impressed. 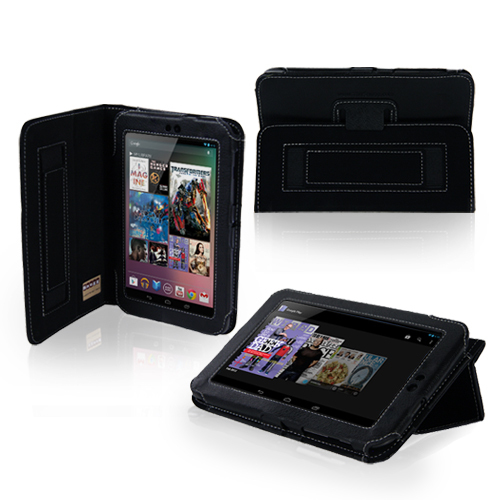 It’s extremely well made from leather, with a soft fibre interior to protect the screen when closed. It feels like a ‘quality’ product. It’s also extremely practical, as it doubles as a stand, which is great for watching movies, or can be flipped over to make a comfortable writing angle. There’s a really useful elasticated handle inside, which gives you a comfortable holding position when using it in portrait mode, so you don’t worry about dropping it. There’s even got a loop for holding your stylus if you have one, and if you don’t, it can be neatly tucked out of the way. The tablet itself feels extremely secure, as it’s held neatly in place by a velcro flap, making sure your new toy isn’t going to accidentally slip out. The cover flap also contains a magnetic strip, which helps keep it securely closed, as well as automatically waking the tablet when you open it. They’ve really thought of everything! You can buy the Nexus 7 case direct from the website here, They also do similar cases for iPad and other tablets too! 10/10 – A superb high quality tablet case. Highly recommended! ← Lots of new UK TV Premiere Dates!